Preparing your paper pattern properly is a must when learning how to make a dress. 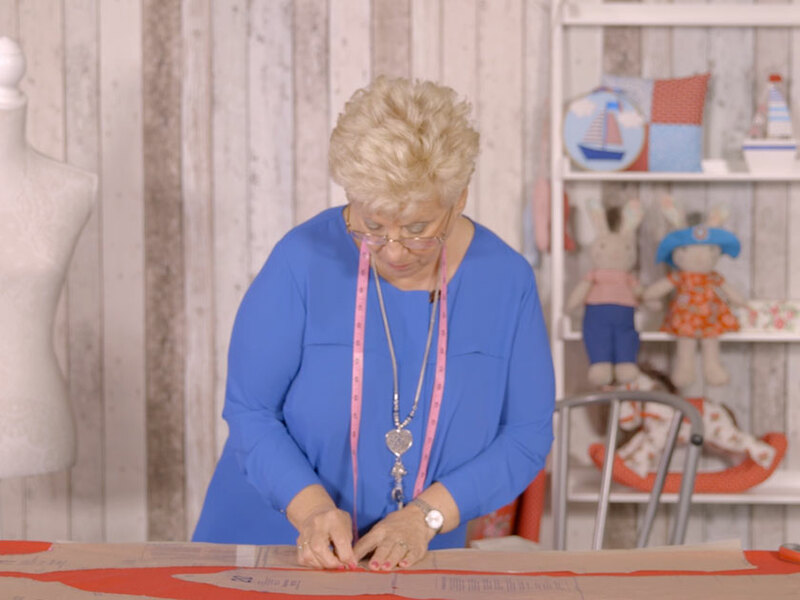 If you want a professional looking finished garment, make sure you follow our expert’s tips when cutting out the paper pattern and your dress fabric too! 1. Remove the paper pattern from your pattern envelope and lay it out flat on your table. 2. 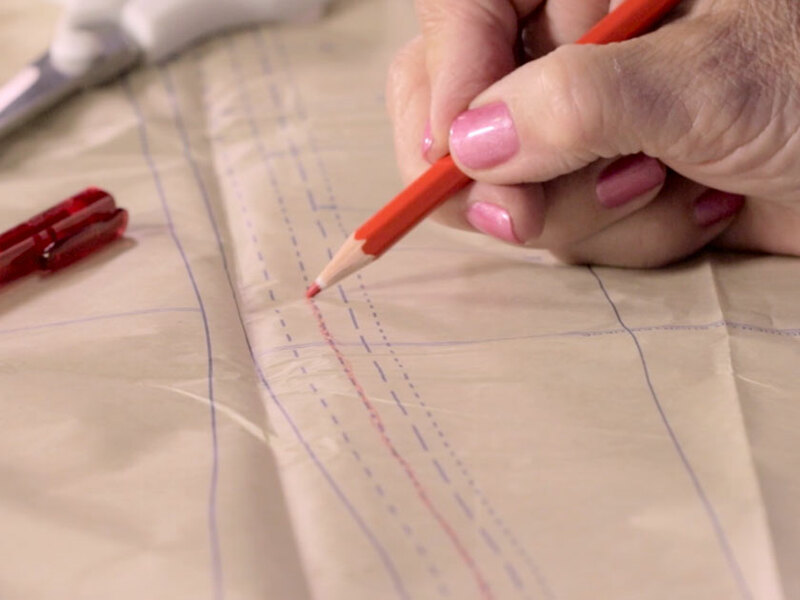 Once you’ve chosen which size dress you want to make, use a red pencil to mark your chosen size cutting guides. This will make it easier to follow the dashed lines. 3. Use a pair of paper scissors to cut out all the paper pieces required for your garment. 4. Dry iron the paper pattern on a low heat setting to get all the creases out. 1. Prepare your fabric by following the manufacturer’s instructions for washing. Allow the fabric to dry and iron any creases before cutting. 2. Follow the layout guide found on the paper pattern instructions, these will show you how to position the paper pattern on the fabric depending on your fabric’s width. 3. Fold your fabric in half, selvedge to selvedge which is the neat edge of the fabric. Where the instructions say to place the paper pattern on the fold of the fabric, place the paper section right up against the fold and pin in place. 4. When laying out the next pattern piece there’s a line called the grain line, which has to run parallel with the grain of the fabric. 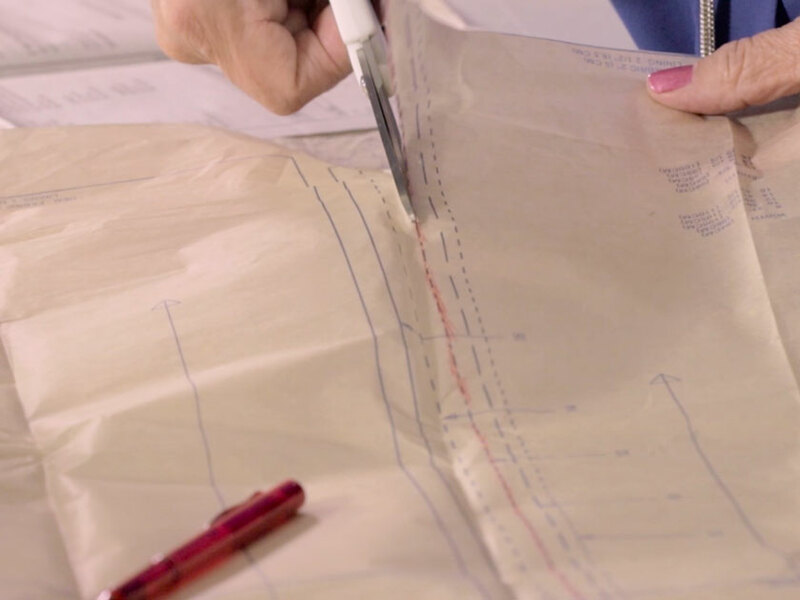 To make sure the paper pattern is in the right position, use a tape measure to measure that the line is the same distance from the fold of the fabric all the way along. 5. To transfer the pattern notches to your fabric, mark the notches by cutting an extra section out of the fabric to avoid snipping into your seam allowance. For double notches, cut a wider one rather than two so it’s easily recognisable. 6. If you have markings to transfer, push a pin through the centre of the marking and mark with dressmaker’s chalk, or a simple tailor’s tack with contrasting thread and needle works well too. 7. Cut out the lining in exactly the same way. Now it’s time to sew the dress sections together with our step-by-step video guide.